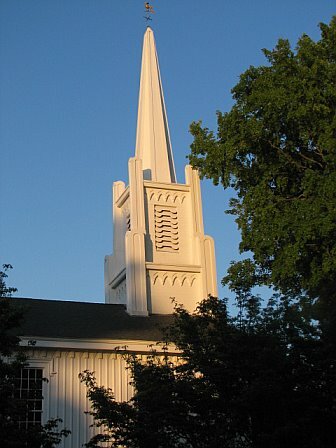 Welcome to the Monroe Congregational Church's home page. Our hope is that you find the information on this website clear and inviting. About us: Our spiritual heritage dates back to those who first settled Monroe, and we recently celebrated our 250th Anniversary Year! We are a covenant community, our members and friends strive to be active apostles and devoted disciples. We are an Open & Affirming congregation. 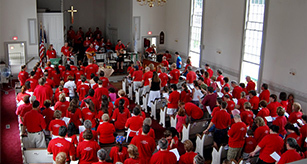 We are members of the United Church of Christ. Visitors are welcome, always! Come and worship with us. Attend a Bible study, small group or service event. Bring your children to our amazing Vacation Bible School, Sunday school or one of our Pilgrim Fellowship youth groups for teens, pre-teens, and adults. Join us on a retreat or mission trip. Sample our Strawberry Shortcake on Father's Day Weekend. Sing with us. Feel free to ask questions, we look forward to meeting you.